The subject of heavily encrypted chat apps is a rather controversial one. Unlike regular phones and other more conventional forms of communication, such messengers are often impossible to “wiretap” even by the companies that provide the services. Such is the case with Telegram, that has been under fire by a lot of governments worldwide. The latest case involves the Ministry of Communication and IT of Indonesia, which blocked the web version of Telegram on Friday and threatened to do the same with the app itself. The Indonesian government claimed that Telegram has been used by terrorists in the country to spread radicalism and organize terror attacks. Pavel Durov, Telegram's founder, said that he was “upset” that the government saw blocking Telegram as a necessary step. Additionally, he posted to his followers that the Telegram team has now removed all terrorist-related public channels that the Indonesian government reported. Telegram is also forming a new team of moderators with knowledge of Indonesian culture and language. Durov said that this will allow the company to remove terrorist-related channels faster. 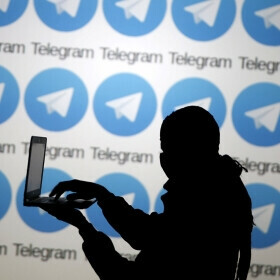 “Telegram is heavily encrypted and privacy-oriented, but we're no friends of terrorists – in fact, every month we block thousands of ISIS-related public channels,” Durov added. Isis is moving to iPhone where they are welcomed with open arms.